Author CM McCoy (aka Colleen Oefelein) has one pointed ear, an 90-pound “puppy” from Hell, and a very active imagination. She’s well aware nobody can say or spell her real last name, hence the pen name. You can call her Colleen. She’s a retired Air Force officer, a mom, an author, a blogger, and the PR manager and an associate agent for Inklings Literary Agency. When she’s not chatting with her imaginary friends, she’s either stuck in a book or interviewing with PEOPLE Magazine, ABC’s 20/20, the local morning news show, or INSIDE EDITION, where she promotes writing for mental and emotional health. She also mentors pre-published authors through workshops and contests and runs Totem Head’s Annual Free Writing Contest for Kids, now in its ninth year. Though she holds 2 Bachelor of Science degrees (Chemical Engineering and German — Penn State), she’s far happier writing near misses and awkward kisses. Some of her off-the-wall talents include speaking in 10-codes (which she learned working 911-dispatch for Alaska State Troopers), flying helicopters, and Irish dance. 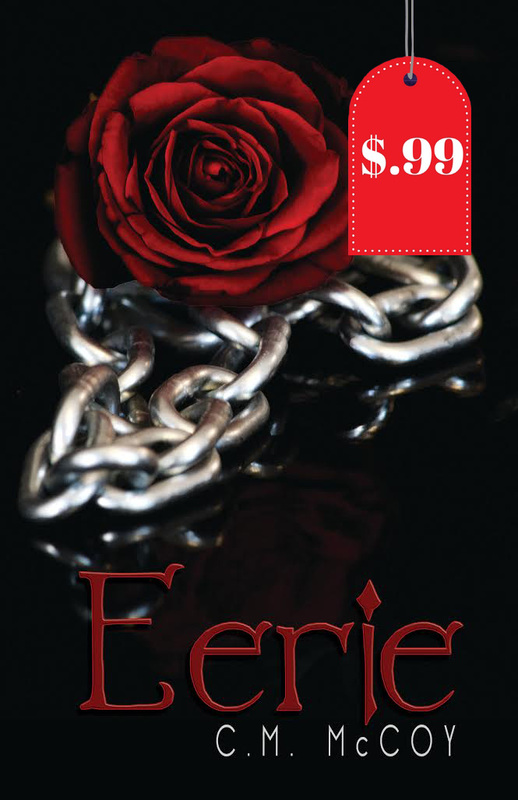 Her debut, EERIE, a teen paranormal adventure with romance, released in Dec 2015 by Simon & Schuster/Omnific. She has a memoir out on submission to production companies and a picture book out on submission to publishers. She’s represented by the magnificent Michelle Johnson. Colleen’s Query Critique . . .
Make this stand out: This premise bears many similarities to stories already in the marketplace, and I wonder what would make this one stand out. I recommend thinking about your story compared to say…THE ANDROMEDA STRAIN and the both the film OUTBREAK and the book OUTBREAK by Robin Cook (which isn’t connected to the film, though the two are similar in plot). Figure out what makes your story stand out from the herd and get that into your query. Mention who the bad guy is. “Thriller” tells me there’s a bad guy. If this truly is a thriller, there has to be action, and someone or some organization should be “out to get” or “out to stop” the main character. If there isn’t a bad guy, this could be more of a mystery, where the main character isn’t really in any extraordinary danger, or if she is, it’s moderate. ie, nobody’s chasing her from the outset. Or if she’s simply racing the clock before the proverbial bomb explodes (pandemic), then this might be better described as a suspense. In any case, mention who the bad guy is (who’s trying to stop your main character) or reset my expectations by calling this a mystery or a suspense. I’m excited by the urgency in this synopsis, and I’d hope that I’d find the same urgency in the prose. So in effect, while this query makes me wonder about how this book might stand out in the market and whether it’s truly a thriller and whether it’s too short and therefore lacking in story-telling, it’s done its job of making me want to read the pages. Things on my mind as I’d go into the pages of this submission would be world-building, potential logic leaps, and hoping for prose that knocks my socks off to make up for that “already done” feeling of the premise. I’d already be brainstorming some way to tweak this story line to include something fresh or new. Overall, I’d say this is an intriguing query, that would be made even more so with just a few tweaks. Kate is an award-winning middle grade author, a freelance editor, and the editorial director of Lakewater Press. Although originally from the UK, she now lives with her clan on the stunning Gold Coast in Australia. She has Monica Geller tendencies.Tom Hardy, dogs, and tea. Living on Winell Road is hardly fun, not when your neighbors are weirder than your own parents. But the road has a secret that few people know. And Jack’s about to uncover it. Mystery, action and adventure. This award-winning sci-fi series is “highly recommended” for middle grade readers. For fans of Men in Black and Zac Power, Winell Road is jam-packed with “loads of twists and turns” that will keep you guessing to the end. Kate’s First Page Critique . . .
“What was that?” he teased, nudging my shoulder. “Oh come off it, you’re used to it,” I beamed back at him. He brought the fish closer to me again, only this time he held onto it. The late sun sprang from its scales and. It shimmered in his hands. Grabbing my hand, he pulled me from the grass, leading me closer to the river. I just laughed. There was no going back; for the next hour I’d be fishing regardless of how foolish I looked, but at least he didn’t care. “All right! All right, I’m coming over!” I squealed. He handed me the spear and attempted to direct my hands in the correct position, [What is the correct position? Can you show the reader?] but I was useless. With effort, I managed to adopt the right stance, [What is the right stance? Can you show it to the reader?] but he propped up the spear from behind me because it was too heavy to hold steady. [There is good fluidity to the writing and a smooth tone, with the feel of darkness brewing beneath the surface, maybe hiding an upcoming tragedy or shock. I do feel there are a few things that could elevate the page as it stands to ensure it creates a more sensuous and engaging read. Maybe by adding more to engage the reader’s senses: so some smells and sounds, etc. Maybe the reader can feel the cold as they watch Allie rub together and blow on to his hands, or pull his collar up higher round his neck. Maybe by blending in some finer details as well, such as the material or color of Allie’s coat, perhaps a little more in the way of their location—are they surrounded by a forest, mountains in the distance, and so on. A little less telling and more showing will make all the difference! Thank you, Colleeen and Kate, for your critique! I’m always up for more editing fun!